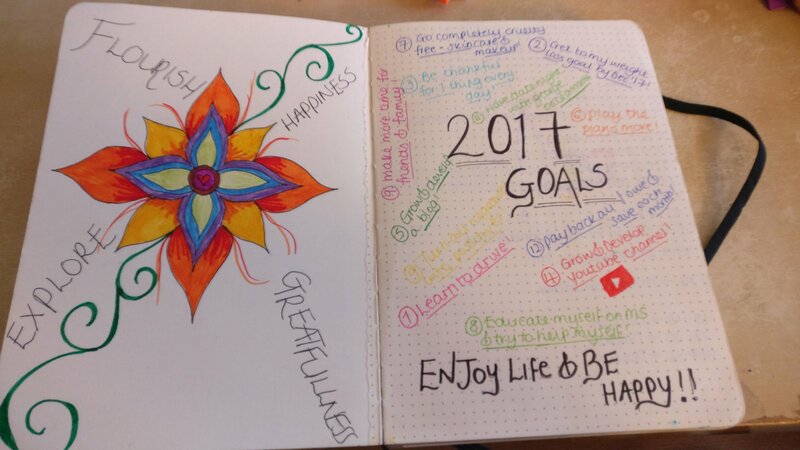 January 2017… The start of my very first Bullet Journal. 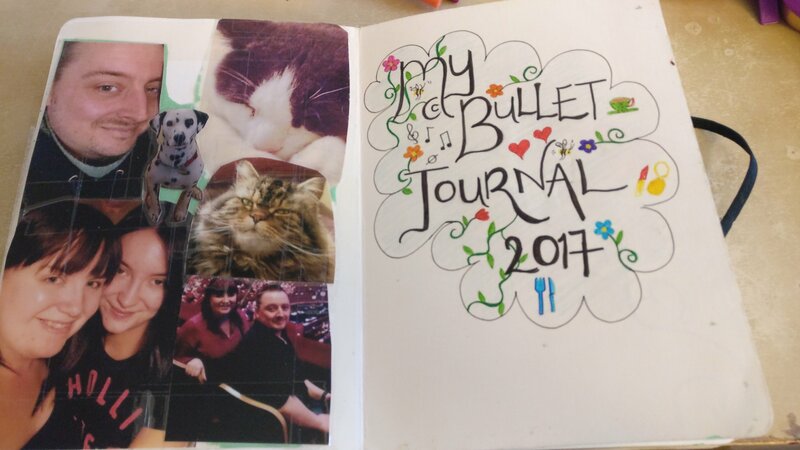 A very good friend of mine told me briefly about the Bullet Journal and how it worked and also told me to check out Ryder Carroll’s YouTube video explaining how it works. 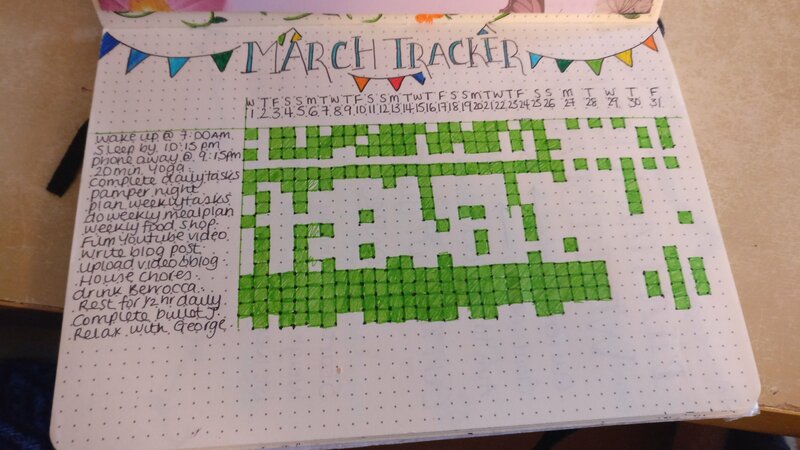 At first when she told me about it, I thought it was something you do on your phone, however when she proceeded to show me pictures of hers I realised that this was definitely something for me to pursue! 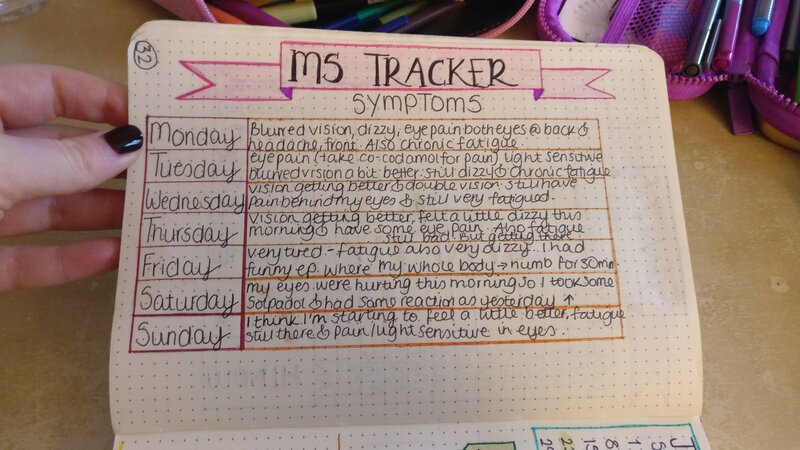 I have Multiple Sclerosis which is a neurological condition that affects the central nervous system. 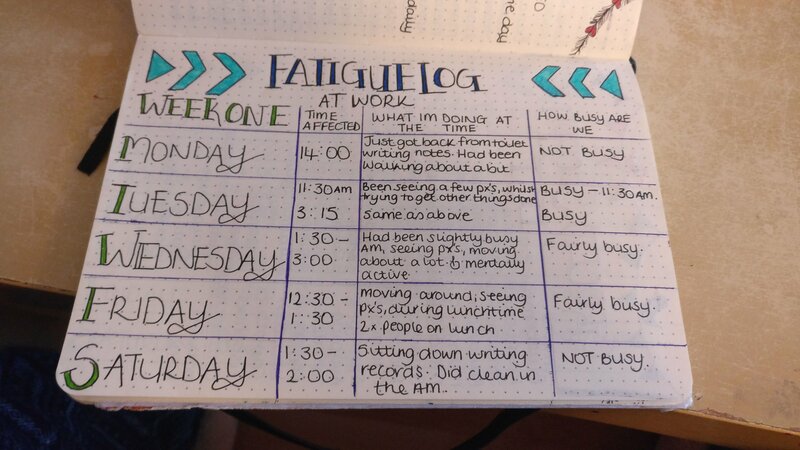 To most people we look perfectly well and normal because this illness is also invisible! 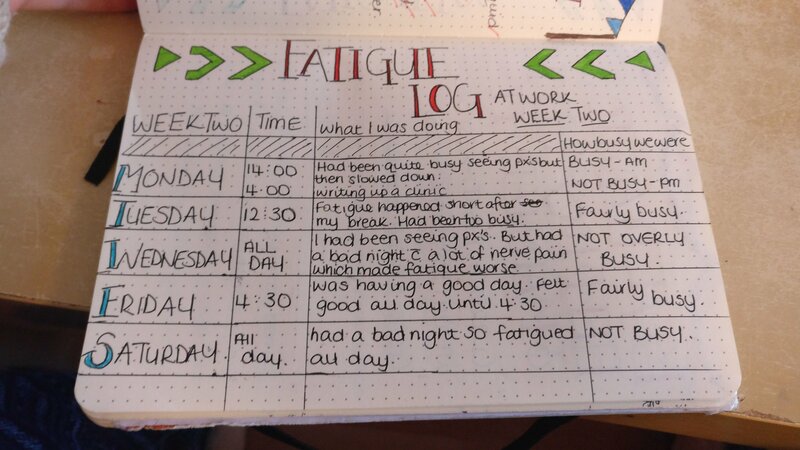 We have to deal with a variety of symptoms ranging from chronic fatigue to severe pain without it showing on the outside — as you can imagine it’s rather frustrating. 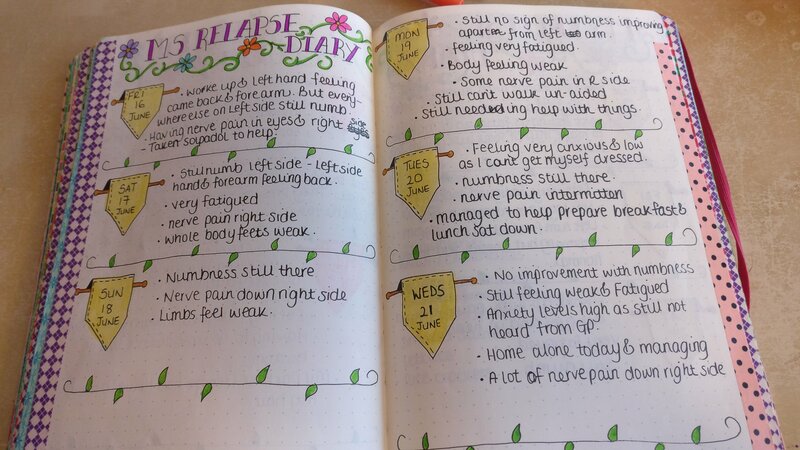 I decided to start a Bullet Journal to help keep myself positive and also to track symptoms, meal plan and just organise my life a little better. 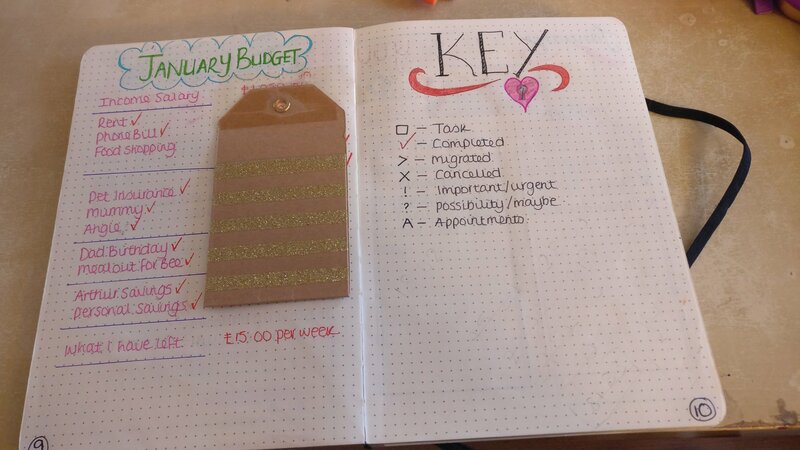 I love being organised and I’ve found my Bullet Journal to help so much with this! Ive also found it to be a release from reality in a way too, just somewhere to escape! 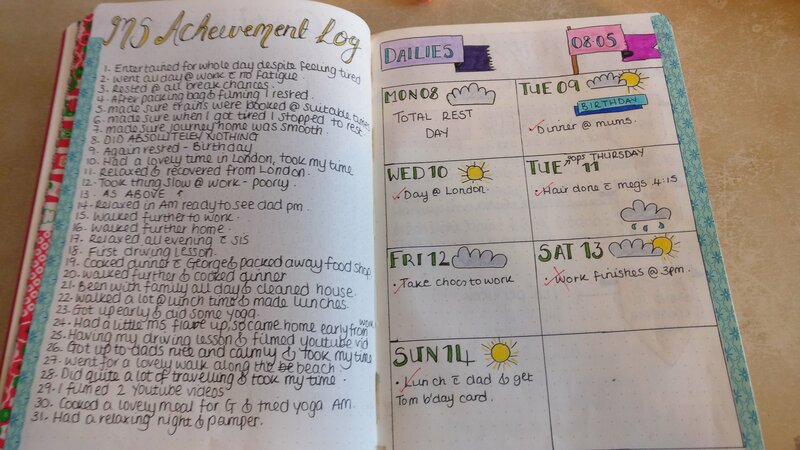 I’m a creative person and I could doodle or plan away in my Bullet Journal for hours! 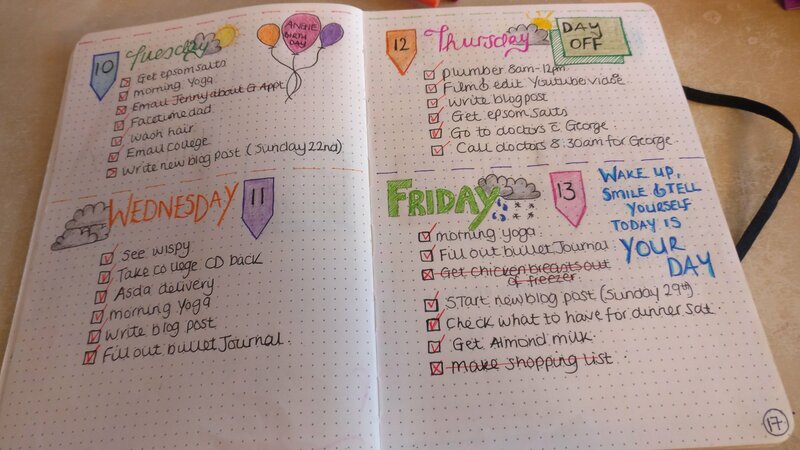 I primarily use my Bullet Journal for everyday planning. 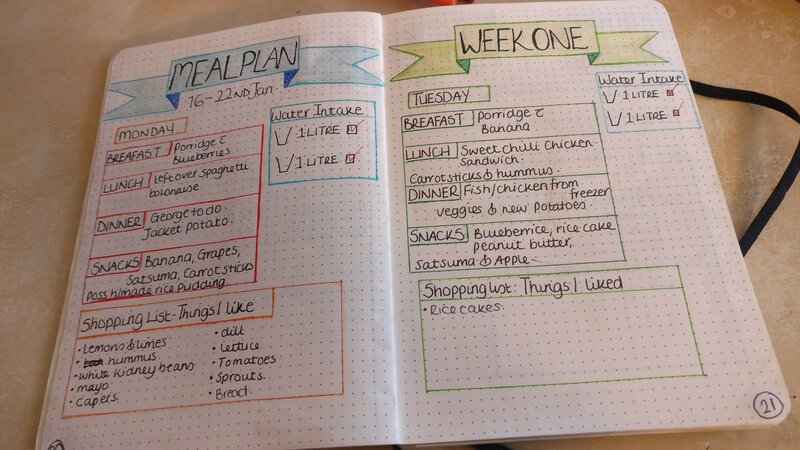 Grocery lists, Meal Plans, daily tasks, monthly tracker and gratitude logs — I was heavily inspired by BoHo Berry (Kara) when creating my Bullet Journal continue now to watch her videos. 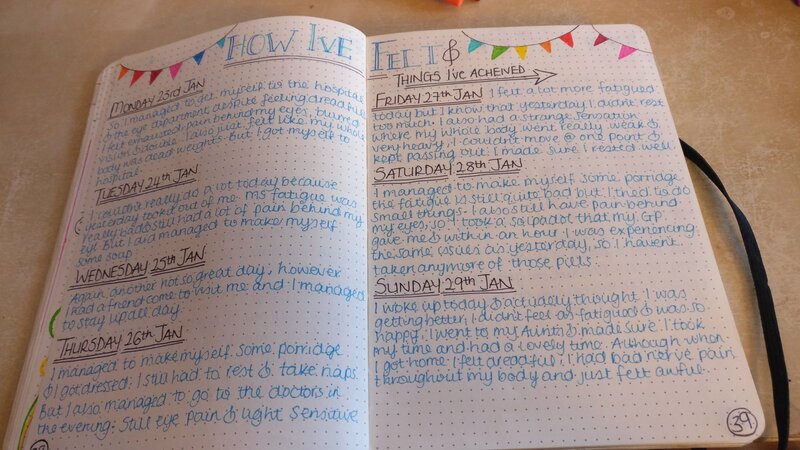 Once I’d got the hang of what I was doing, I started doing more spreads to help me manage my condition and to keep my positive attitude. 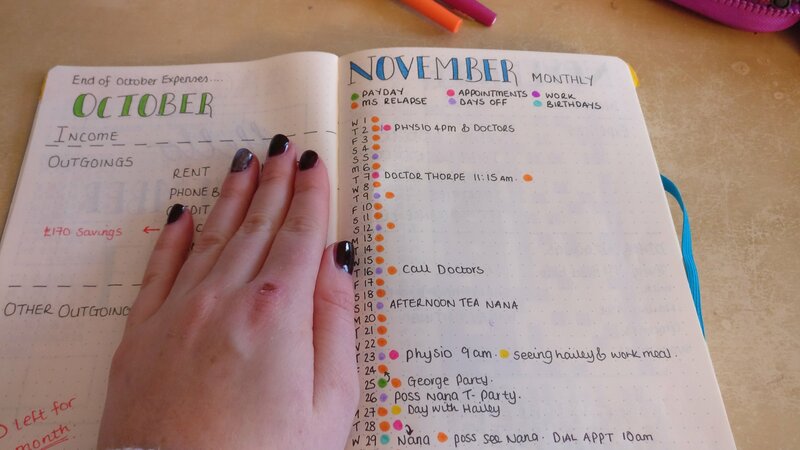 I honestly feel like the Bullet Journal has helped me remain positive in my situation, and I’ve got lots of pretty stationary out of it too hehe! 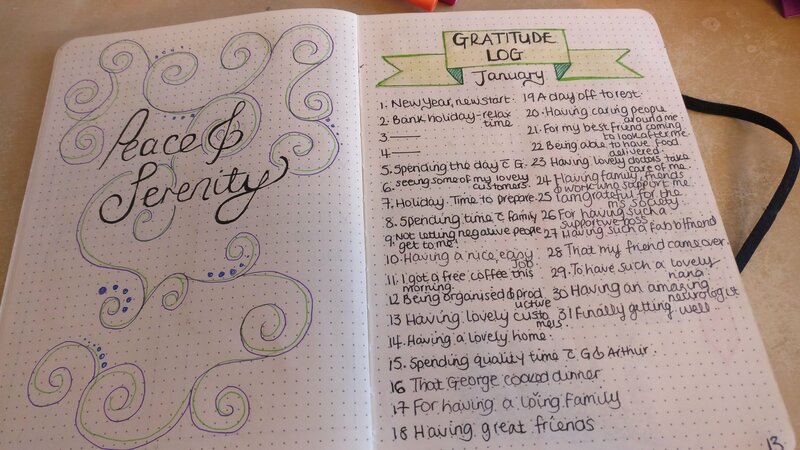 Writing things down, planning and reducing stress has really helped me cope with this! 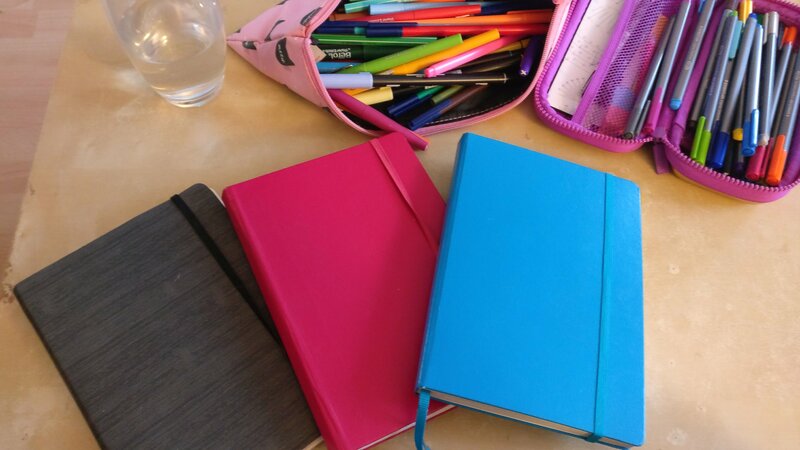 And now as we move into 2018, I’m still loving my Bullet Journal and I shall continue to love it forever more! 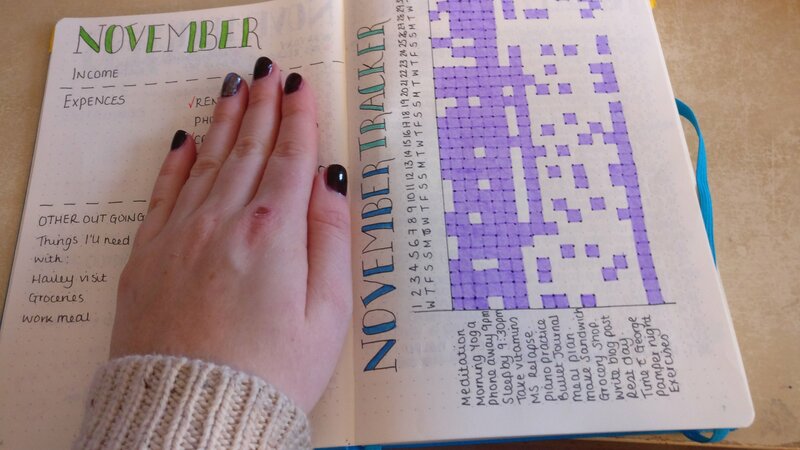 I would love to thank you Ryder for creating this method in the first place and I’d also like to thank Kara from BoHo Berry for just the beautifully designed Bullet Journals, you’ve both really helped me manage and live with my chronic illness. 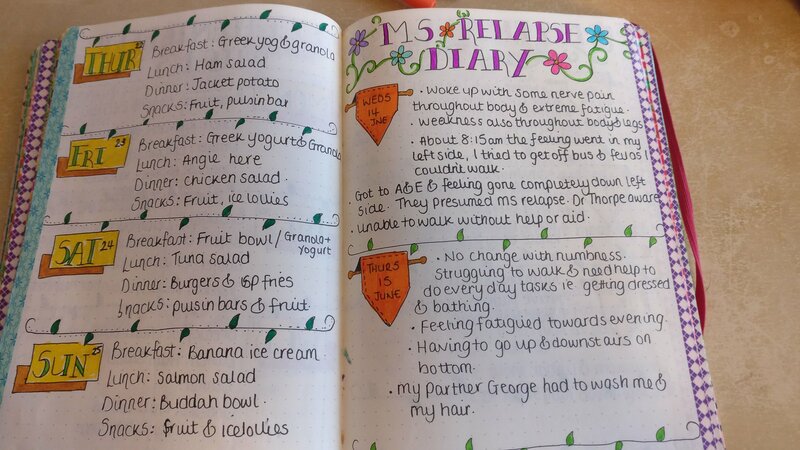 Multiple Sclerosis! 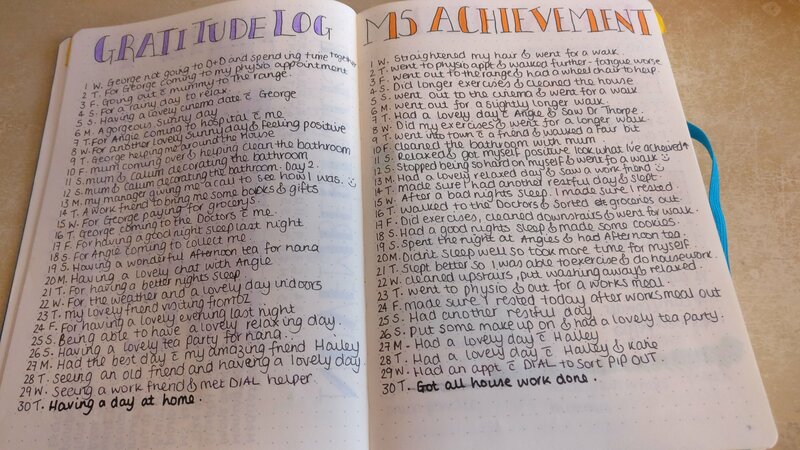 I’d like to add, my behaviour probably isn’t the healthiest in shying away from any MS issues. 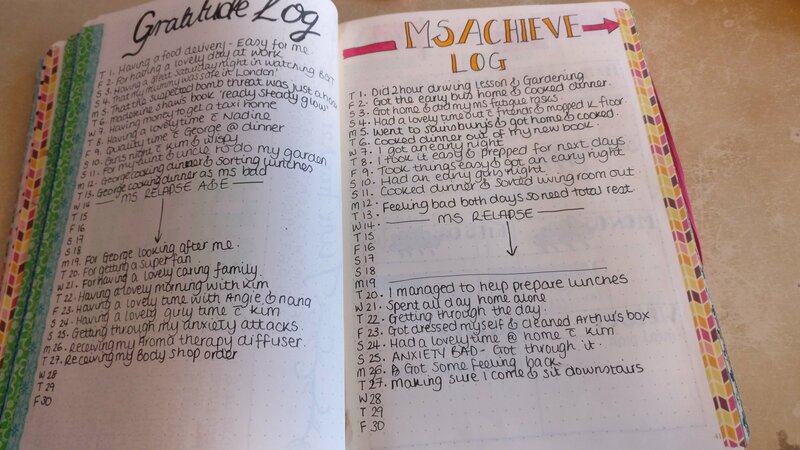 If my MS vastly progresses, I could see a journal being very cathartic and helpful. 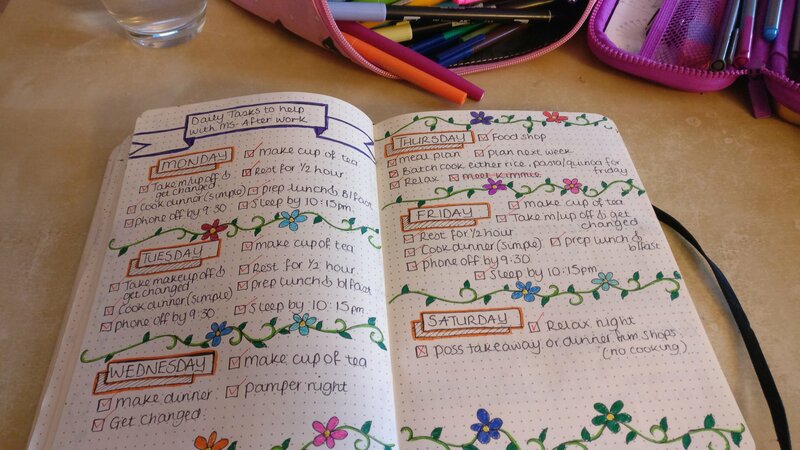 I love the idea of a bullet journal! 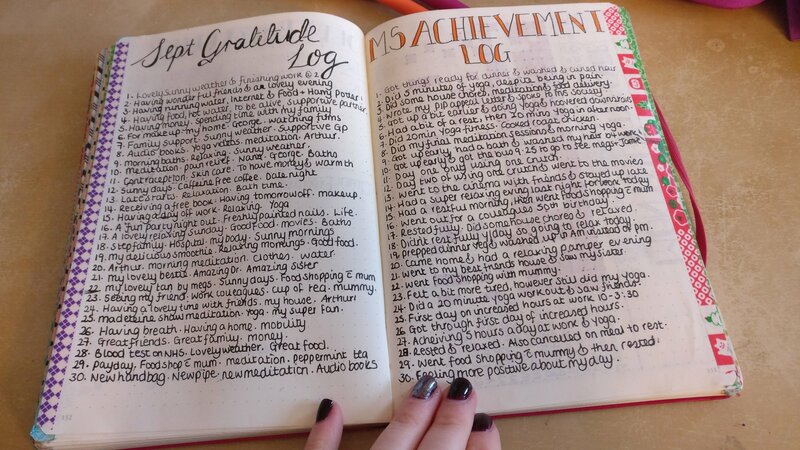 This is an amazing idea to really keep track of life, symptoms, goals, accomplishments and more! 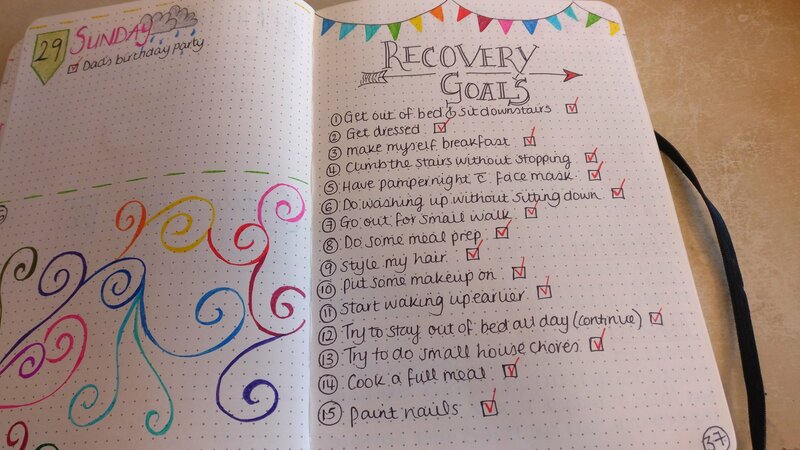 Thank you so much for sharing this!!!! I hope you have a great day!! !